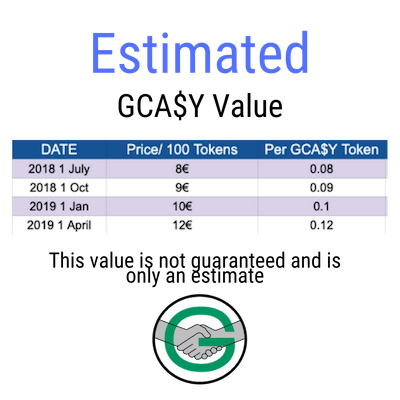 GCA$Y cryptocurrency has been active for over one year. First in “beta” then implemented in July, 2018. Since our actual implementation, our tokens have grown persistently overtime. The value is estimated based on labor hours invested. Our Pre-Market Sale is estimated to kickoff in May-June 2019.